You know what's really wonderful? Recipes that make you eat a bunch of veggies without feeling like you're eating a bunch of veggies. This recipe does that perfectly! Plus you get to play food artist with the criss-crossed pizza dough on top. Sneaky veggies + creativity = best. recipe. ever. 1. Heat oil in a large skillet over medium-high heat. Add onion and peppers and cook for about 6 minutes. Add zucchini and garlic and cook for another 6 minutes. 2. 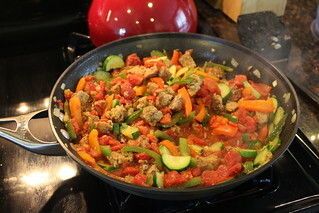 Add tomatoes, sausage, half of the Italian seasoning, salt, and pepper to skillet. Bring to a gentle boil and cook for 5-7 minutes (until most of the liquid has evaporated). 3. Remove skillet from heat. 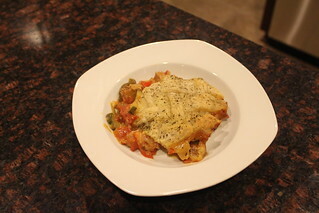 Stir in Parmesan cheese and 1 cup of the mozzarella cheese. 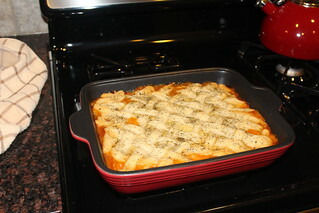 Spoon into a lightly-greased 2-quart rectangular baking dish. 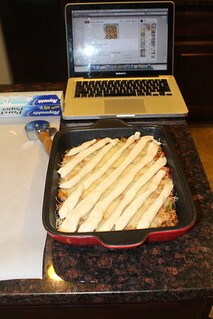 Top with remaining mozzarella cheese. 4. 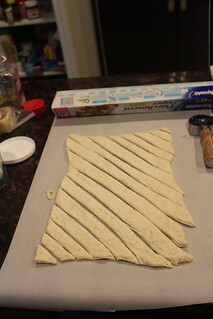 Unroll pizza dough on parchment paper and cut into strips. 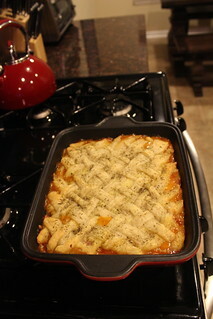 Arrange pizza dough strips on top of the casserole in a lattice pattern. 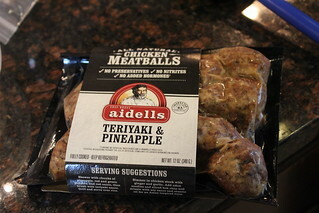 Sprinkle with remaining Italian seasoning. 5. 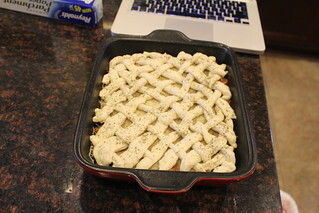 Bake at 350 for 30-40 minutes, until crust is lightly browned and filling is bubbly. Let stand for 10 minutes before serving. This sounds and looks amazing!! Yum!